Social Networking is now become one of the effective way to connect with any website in easy way. So Now Yahoo! made this for their users to get connect with their favorite Social Network website within their Yahoo Mail service. Yahoo! has launched a new version of its free email service with better social media connectivity. 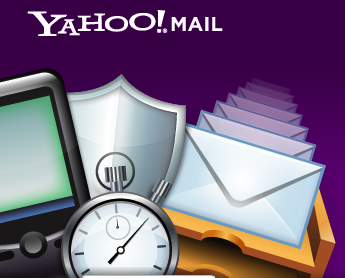 Users who elect to try Yahoo Mail Beta can view and share updates from Facebook and Twitter without leaving their Yahoo! in-box, according to WebProNews. There’s also an automatic slideshow feature that allows people to see photos and videos from sites like Flickr, Picasa, and YouTube from within their email messages. Other improvements include unlimited storage and better search functionality. It’s interesting to watch Yahoo!’s strategy in social media as the company has always been much more a media than a technology company, unlike Google. Yahoo! had many social features of its own but has made the call to partner with others. While Yahoo! owns Flickr, YouTube belongs to rival Google, Facebook has ties with Microsoft and Bing, and Twitter is its own entity. Yahoo! is being smart by realizing that it needs to work with the leading applications, regardless of whether the company is a competitor in other ways. It will be interesting to see whether Yahoo! users find the new email functionality helpful or whether it ends up being clutter. I use Gmail and I turned Buzz off after only a few days because I found it stressful having so many unread messages. I’ve also tried using Flock – like Firefox but with social media integration – as my web browser but I abandoned it because it was distracting.